Now if you really want to make people aware in Britain of the history of British Home Children, social media is a good place to start. At first most of those who wished to join were from Canada, but steadily we are now attracting people from across the UK, and not only are they posting their stories but are exchanging news. Today Jenny wrote, “I belong to Balsall Heath Local History Society in Birmingham and we have just secured a Heritage Lottery Fund grant to research the Middlemore Homes and the children and their stories. We are at present in the process of appointing a Project Manager. Adding, “We are interviewing on May 4th and have had some very good applications. 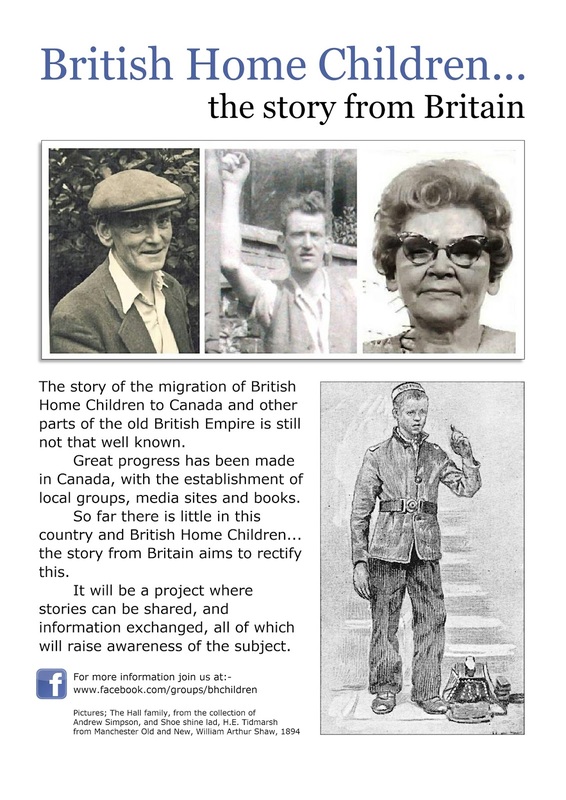 If you look up the Balsall Heath Local History Society Facebook page, you should be able to find something about this project. I think I posted the job advert and also our Gazette for March carried an article about the project”. 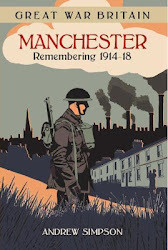 While Deborah added, “I've just written to Peter Calver of Lost Cousins asking him to mention the Group in one of his newsletters” and Elaine shared a radio programme going out tomorrow in the Bournemouth, Poole and Christchurch area, featuring two historian discussing BHC. 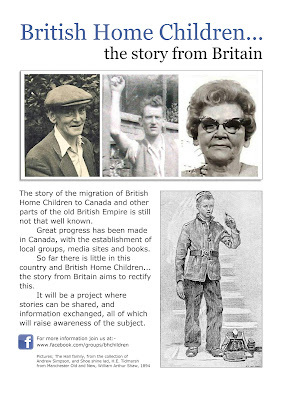 Poster; British Home Children ...... the story from Britain was designed to be downloaded and distributed to friends, groups and heritage Centres/libraries and societies.